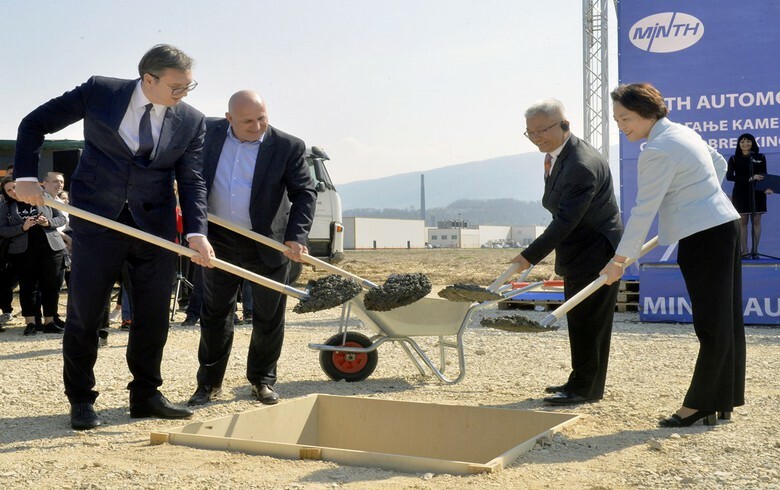 BELGRADE (Serbia), April 3 (SeeNews) - Chinese car parts manufacturer Minth has started the construction of a production plant in Loznica, in western Serbia, the Serbian president's office said. Minth plans to invest 100 million euro ($112.5 million) in the construction of the car parts factory which will manufacture aluminium parts for cars and will have 1,000 employees, the Serbian president's office said in a press release following the groundbreaking ceremony attended by president Aleksandar Vucic on Tuesday. In October, the Serbian president's office said that Minth is also interested in greenfield investments in Serbia's hotel sector. Minth is active in the design, production and sale of both structural and decorative car parts.